Glygen is proud to offer custom tips and plates for sample prep using automated liquid handling systems. 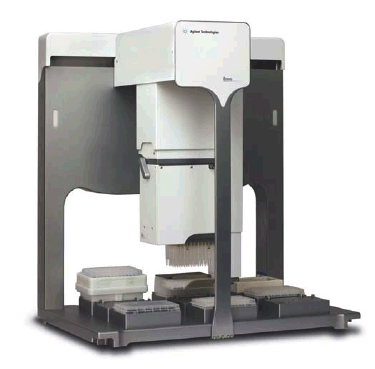 Glygen's tips/plates for fully-automated sample prep enable scientists to conduct experiments with improved efficacy, reproducibility, speed, and economics. Glygen works closely with labs to design and manufacture tips/plates that can be manipulated by automated liquid handlers. For example, Glygen recently collaborated with Agilent Technologies to develop VeloTips for the Bravo Automated Liquid Handling Platform. 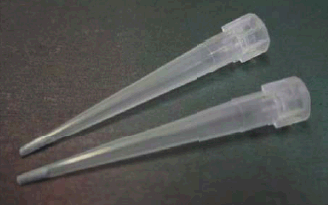 These 30 μL disposable tips for Agilent’s liquid handlers can be automatically picked up and replaced into a tipbox for re-use, or can be discarded into tip waste. According to a recent application note, the "peptide mass fingerprints produced by the automatic workflow performed equally well or better than the manual process regarding signal intensity and protein sequence coverage. As an additional benefit, the whole process is carried out in a reproducible and timesaving manner."